At West Country Property Solutions we are aware that finding the perfect property is only the first step in creating the home of your dreams. In the interests of providing the full package of services needed by our clients we also provide design and project management services when the purchase has been completed. Our service will be tailored exactly to your needs and we have all the experience and skills necessary to assist you in creating the perfect home. The personal nature of our service means that you will have the work taken over by a project manager who will oversee a fully qualified team of professionals comprised of tradesmen and craftsmen who are fully aware of any local planning restrictions and regulations. If you need an extension to the property to add extra rooms or extra floors we can manage the whole project from the architectural planning to the final interior decorations. We will prepare all the documentation needed and the project manager will liase with all parties involved in the work. In addition, we will advise and liaise with utility providers, ensure that health and safety regulations are adhered to and source specialist suppliers. Our experience at West Country Property Solutions has led to a reputation for excellence in residential property management in London. Whether you want changes to a new property, a kitchen or bathroom refit or a loft conversion, we can make it happen. Starting with a feasibility study that will help to get your ideas down on paper, we will then put together a plan for the work. We offer professional architects to draw up the final plans and can produce a 3D design using CAD software. The full package of services will make sure that the project goes from the original plan to completion without any delay and as little disruption to your daily life as possible. We will liaise with all the people involved so that you do not have to worry about whether builders will turn up and any unforeseen problems will be dealt with swiftly. 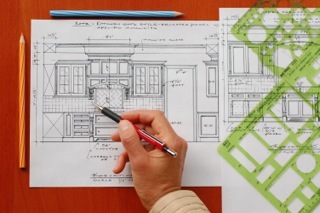 When it comes to micro managing architectural plans, interior design and a varied workforce, we can deal with everything leaving you free to contemplate the perfect home you have envisaged.